Your back is an incredible piece of machinery. It can create tremendous force (when you put your back into it), it is extremely supple (when you bend over backwards) and it is very forgiving when you abuse it (when you get your back up against the wall). Back pain (Charleston or wherever you are) can put a real damper on your daily activities. No amount of spine tips can prepare you for the tingling sensations, aching and throbbing that occur when your back hurts. While the spinal specialists at Southeastern Spine Institute can help you when you do develop back problems, you play the biggest role in preventing back pain in the first place. Remember when your mother nagged you about your posture? Most people can’t wait to get away from that parental tongue-lashing. But Mom really did have the right idea (as she often does). Poor posture is one of the primary causes of back problems — and thoroughly avoidable. Take a few seconds to get comfortable when you first get in the car. The slightest irritation can end up creating major back discomfort and pain after a long drive. Move the seat forward so you are sitting up straight. 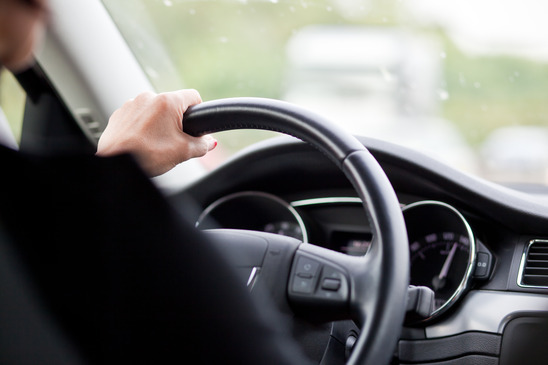 Your arms should comfortably rest on the steering wheel. When your seat is too far back, you must bend your back to reach the wheel and the controls, straining your back. Place a small pillow or a rolled towel behind your lower back to give your lumbar extra support. This is particularly important when you undertake long drives. Take your wallet out of your back pocket before you get in the car. A wallet, cell phone or any other item in your pocket immediately sets your back out of alignment when you sit on it. Pull your chin in slightly to your chest. This helps you keep your head straight and not bent out of alignment. Adjust your seat so that your knees are slightly higher than your hips. Change the settings on your seat every 20 to 30 minutes to prevent your body from staying in one position too long. Your body instinctively needs to move to keep limber. Apply ice, wrapped in a towel or t-shirt, to your back the minute you feel any pain. Carry an ice pack in your drink cooler — because the sooner you ice any discomfort, the better chance you have of staving off even greater pain because most back pain results from inflammation. And ice is a sure way to reduce it. Alternate the ice with heat from a heating pad you plug in to your car’s power or from a hot water bottle or heated gel pack. Stretch your back and hamstrings at every rest stop. Walk around to loosen up tightened muscles. Walking also helps to increase blood circulation that will reduce inflammation. Of course, when back pain becomes unbearable, you may have to give up the wheel to a passenger and lie down in the back seat. You can’t use any strong prescription pain killers while driving and if the ibuprofen isn’t helping, you may need to stop driving to relieve your back pain. Charleston spinal doctors suggest that you don’t have to forgo travel just because you have back problems. Follow these spine tips, keep yourself comfortable and enjoy the ride.